A staple in the blues mans diet. This mic has the identical casing of the legendary Astatic JT-30 but with a super cool electric blue coating. This mic is used, but would appear to have had not too much use. The 5m detachable cable is absolutely sound, and the mic itself has a couple of battle scars (as seen in the pic) but nothing to lose your blues about. Comes complete with the box too! 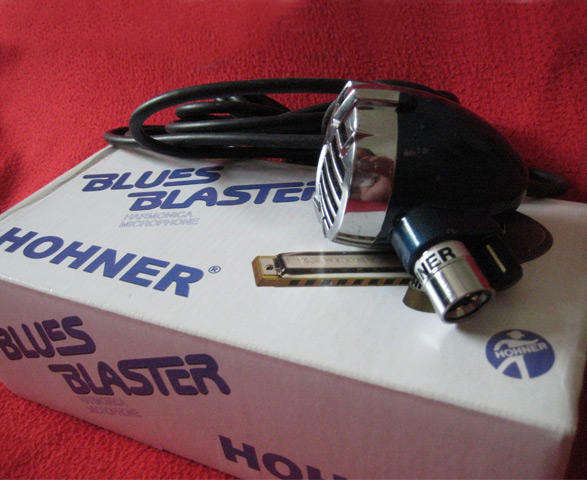 Take a look in your harmonica case and find your best key harmonica, plug the Blues Blaster into a good guitar amp, maybe even the Honkin' Tom's Super Chump valve amp and take everybody home. Pure blues bliss!